I did not love the first two books in the Dangerous Beauty Series (featuring Esther and Bathsheba), but decided to give Hunt another try because I love the concept of biblical women’s stories coming to life, and have appreciated Hunt’s research and unique perspectives in her other books. Told in the first person from the interchanging voices of Samson and Delilah, this is the best of the series so far. The Bible speaks very little about Delilah beyond her betrayal of Samson’s love. Hunt provides a background for Delilah, and further context for Samson, that is intriguing and realistic without contradicting the biblical account. I was drawn to the story. I frequently looked back to Scripture while reading to remember whether certain details were truly mentioned (and was surprised by some of the biblical events I had forgotten!). 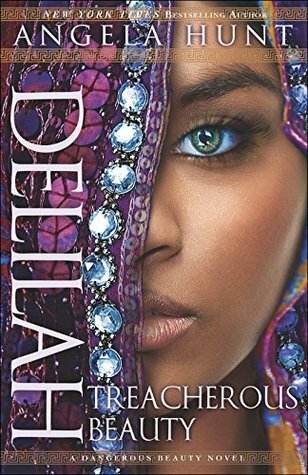 I also thoroughly enjoyed the human perspective of Delilah, who is presented more favorably than in most Sunday school classes.